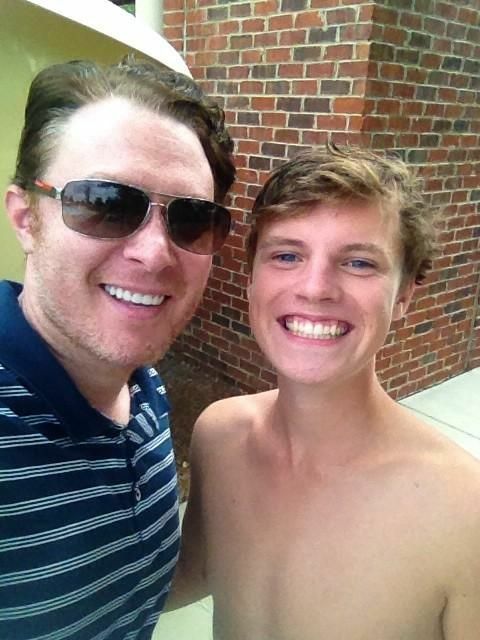 Clay Aiken – Fun News, A New Picture and A Flip! 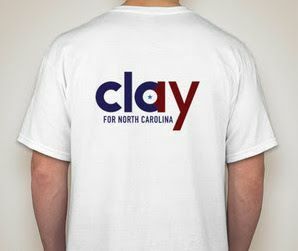 From E-mail and Facebook, we learned that Clay Aiken and his team are selling campaign shirts. How many seconds did it take you to order one of these fun shirts? So…the afternoon brought a picture from twitter. Bill Maher is planning to find the worst representative in the country and oust them from office. Maher plans on asking his audience to nominate the worst member of congress who will are expected to have a competitive 2014 race. Then, Maher will consistently showcase examples of what he views as terrible work by the representative on his show, and will travel to their district “to perform stand-up and generally stir up hostile feelings toward the show’s target,” according to the Times. The project is called the “flip the district” campaign. In the big picture, having Rep Renee Ellmers listed in the final four is not surprising…however, how does if effect Clay? Well…he did not set this up and he has quietly gone about running his campaign without any mentions of FlipADistrict. So..this is Bill Maher’s baby. Some of you will tweet and retweet the news and some of you will ignore the entire event…you need to do what you feel comfortable doing. Here’s wishing you a wonderful week-end! I hope Clay is out in the public eye so that we might get some news and pictures. The second I saw the T-shirt, I made my order and wished I could wear it in District 2! WOW! Clay in a swimming pool!! Now that’s NEWS! Regarding Bill Maher’s “FlipADistrict”, I will follow Clay’s example….silence, but I will quietly be ever so entertained reading his comments and hoping Ms. Ellmers will be the winner! Was running errands when I got the tweet on my phone. I bought that t-shirt in record time! Lord knows what people were thinking while I was in the parking lot! Never heard "flip a district" before but it sure seems like Clay may be well on his way to being elected!! The stars are lining up I tell ya! 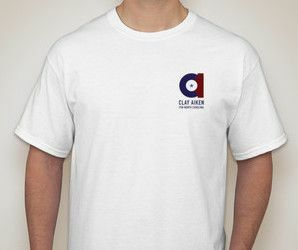 The second I saw the T-shirt, I sent in my order and wished I could wear it in District 2. WOW!! Clay in a swimming pool? Now that's NEWS!!! Regarding Bill Mahar's "FlipADistrict", I will follow Clay's example….silence, but I will quietly be ever so entertained reading Mahar's comments and hoping Ellmers will be the winner. I agree with everyone. I'm pleased they decided to make t-shirts. ( I wish they weren't white). Should have been blue, for vote blue. Funny about the swimming pool. He always said he hated the water. I don't know about "flip a district" either. Sounds interesting. I'm thrilled Renee made the list.. Still don't understand no response to the "Great Debate". I imagine the reason Renee Ellmers hasn’t responded to Clay’s invitation for a debate revolves around his being intelligent, articulate, able to think on his feet, aware of the issues in his district, not being afraid to meet & greet his constituents, and being ready to unselfishly tackle the problems that exist. Ellmers seems to have none of the above characteristics and knows it. Error: Error validating access token: Session has expired on Tuesday, 21-Aug-18 16:13:01 PDT. The current time is Thursday, 18-Apr-19 05:54:56 PDT.